It is important to note that the placement of advertising can sometimes be just as important as how it looks. 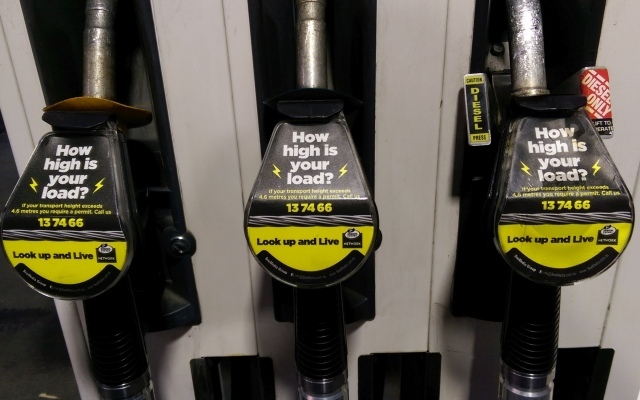 Take a look at the on-pump advertising we saw recently at a local Woolworths petrol station. Now it’s not unusual for advertising to feel like it’s located on any available blank space (recent stats suggest the average person sees 4000 advertising messages every day), however we were impressed with the placement of this particular ad. The ad is from Ergon Energy and it advises people of the need to obtain a permit if their load is over 4.X metres. It’s not exciting advertising, but it might just save a life as loads over that height can come into contact with electricity wires without proper planning, so it’s an important message. Putting the ad on the fuel pump has ensured that the message reaches the right people (more often than not the driver will pump the fuel) at the right time (they’re in charge of a motor vehicle at the time, perhaps even the one that is over 4.X metres) and in the right place (they have to look down at the fuel nozzle to ensure it goes into the vehicle correctly – you can’t not see this ad). Good marketing is all about communicating the right message, in the right place, at the right time, to the right people. And this outdoor advertising ticks all those boxes. Well done Ergon Energy and Co.